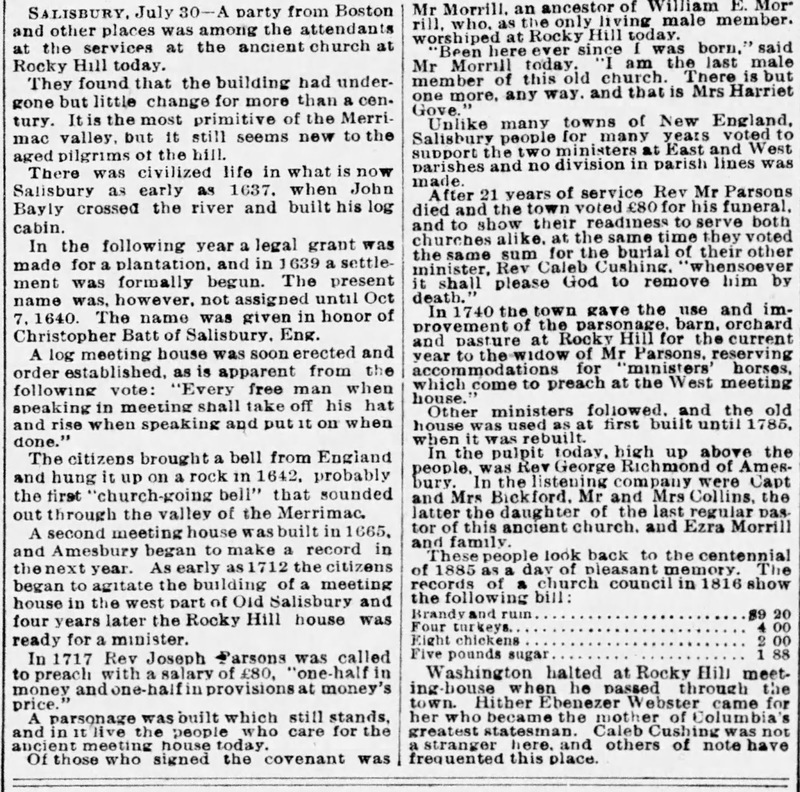 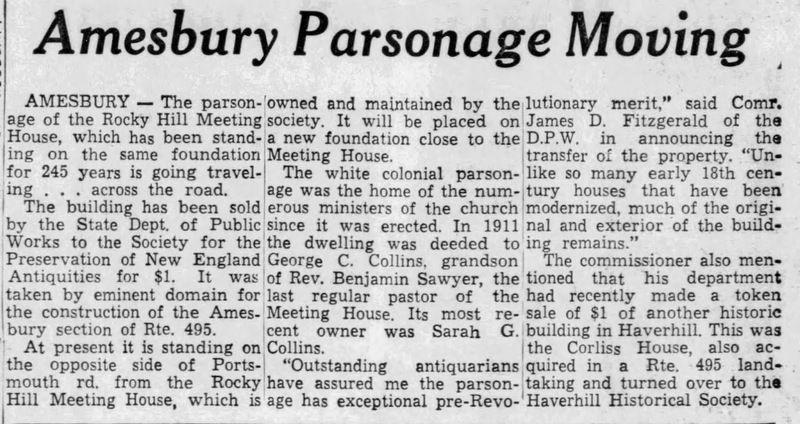 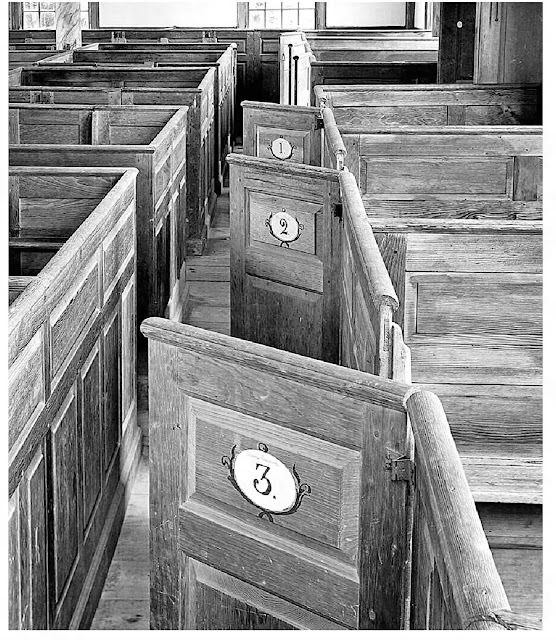 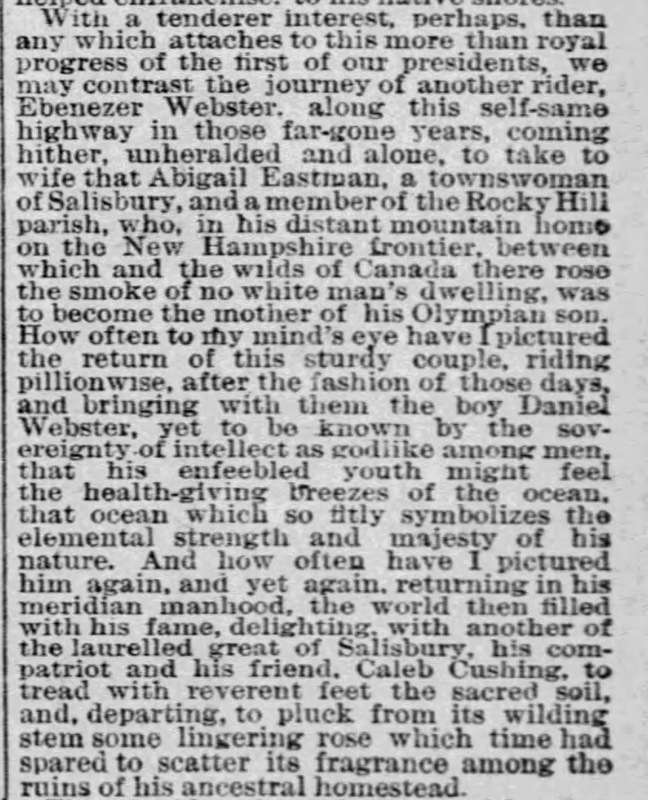 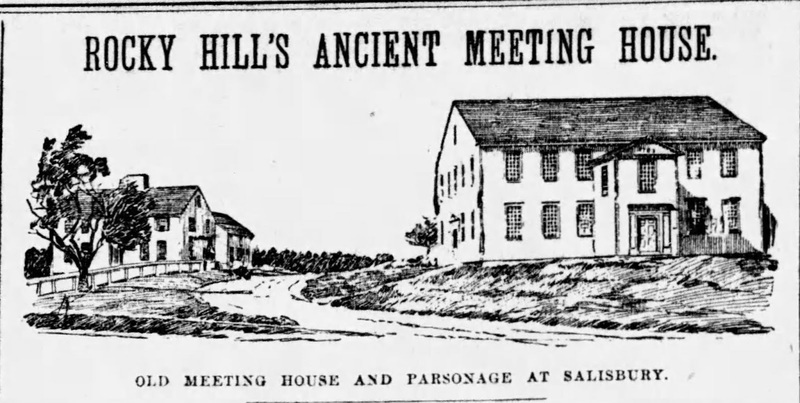 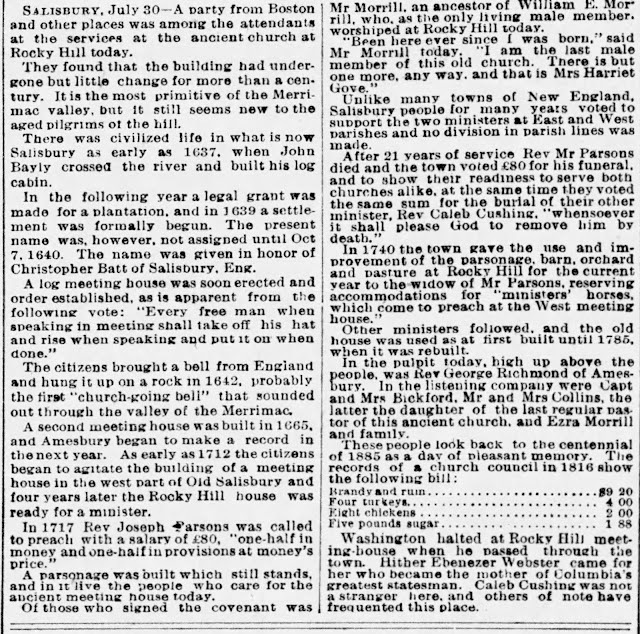 Boston Globe 1893A history of the first meeting house and the second one, Rocky Hill meeting erected in 1785. 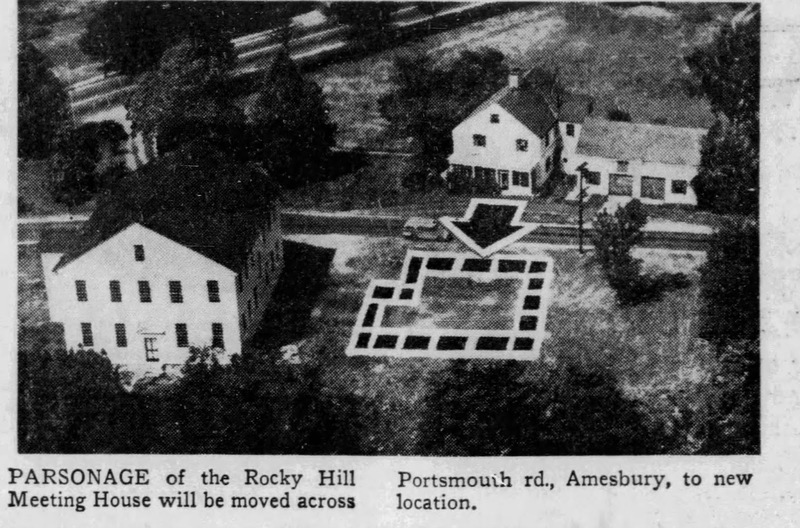 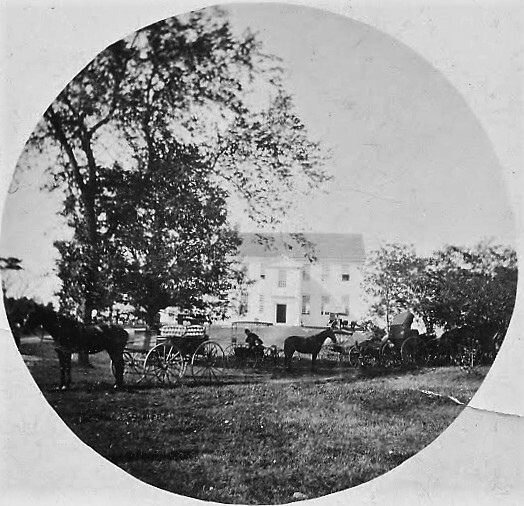 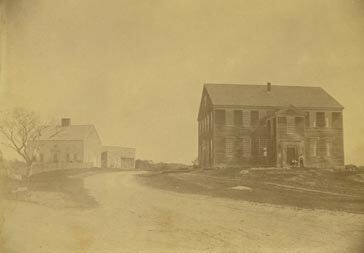 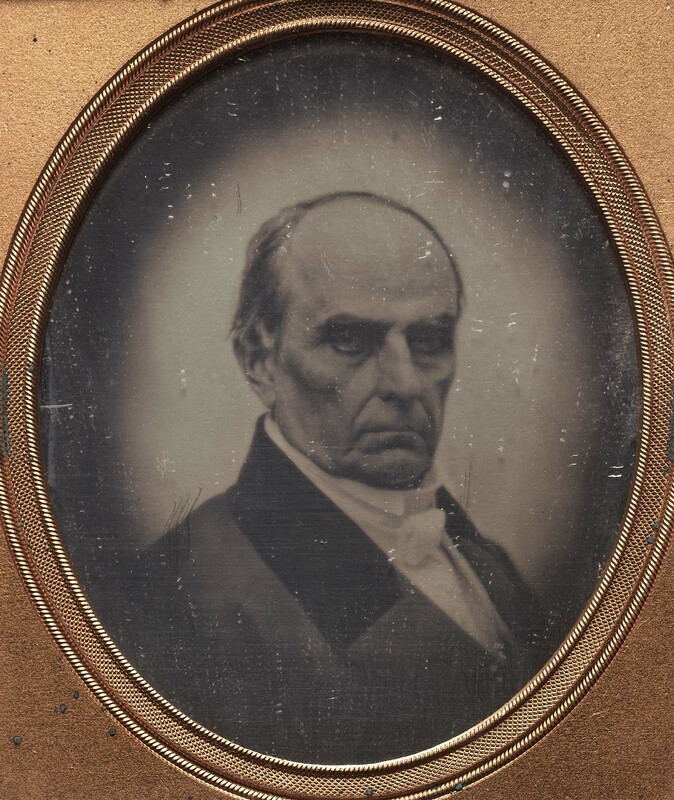 The RH meeting house was prominently located facing the Portsmouth road as you traveled north from Point Shore ferry crossing over the Merrimack River from Newburyport, east of the Pow Wow. Portsmouth road was bisected by route 495 in 1963 and the historical link was severed.